How has the world changed in the decade since the first Portobello Book Festival in 2009? What are the prospects for the next decade? Three distinguished University of Edinburgh academics address these questions in their different and distinctive ways: Sian Bayne, Professor of Digital Education, Jill MacKay, Research Fellow in Veterinary Medical Education, and Donald Bloxham, Professor of History. 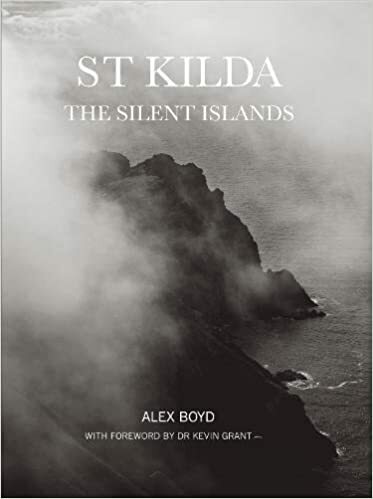 Alex Boyd’s St Kilda: The Silent Islands is a stark and reflective collection of photographs that capture the archipelago of St Kilda in a new light. They show the reality of the crumbling military base as well as the wild beauty of the natural landscape. He is joined by composer Jessica Danz who is working on a new composition focusing on the largely unknown and ill-fated 1852 migration of 42 islanders to Australia. Brian Pendreigh, local journalist and freelance film correspondent, has had a lifetime fascination with film. 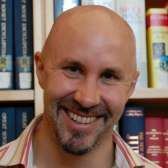 He has authored many books, guides and reviews for papers such as the Scotsman, Herald, Times and Guardian. 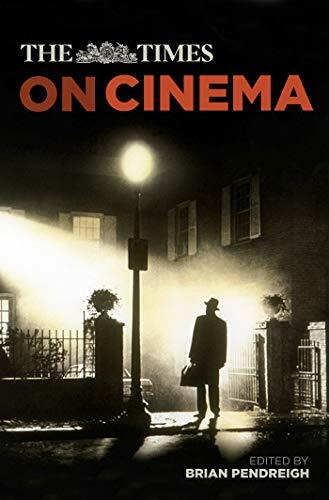 Brian shares stories of meeting famous film stars, the Oscars and discusses his latest book The Times on Cinema. Not long to go – have you got your tickets yet? With just ten days to go until the 10th Portobello Book Festival begins, now is the time to get along to the library to pick up your free tickets if you haven’t already. Local author Doug Johnstone talk about his Desert Island Books on Saturday at 11am in the Baptist Church Hall. Three short story writers, Elle Turner, Jane Tulloch and Rosemary Gemmell, chatting about the art of crafting an effective story in a shorter form – Saturday 12.30pm upstairs in the library. Steve Harvey discussing World Poetry at 1pm on Saturday in the Baptist Church Hall with poets Stuart A Paterson, Marjorie Lotfi Gill and Lynn Davidson. Stephanie Nimmo’s inspiring book Was This In The Plan is the focus of her discussion with Lisa Hardie – Saturday 4pm at the Baptist Church Hall. Or how about Celebrating 40 Years of Amnesty in Portobello? Hear from members of the group as they talk about their campaigning work during those 40 years. Sunday 12.30pm upstairs in the library. The bad news? Tickets for quite a few of the events have already gone. Although remember, there are a few spare available just before each event (with the exception of the writing workshop) so it’s always worth coming along just in case you can get in. Alexander Moffat is one of Scotland’s foremost painters. The paintings Poets’ Pub and the portrait of Muriel Spark in the Scottish National Portrait Gallery are two fine examples of his work. 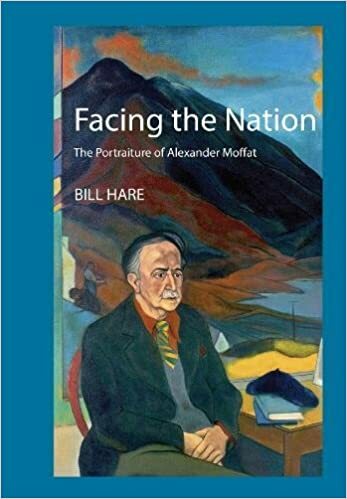 Here he is in conversation with Bill Hare, author of Facing the Nation: The Portraiture of Alexander Moffat. 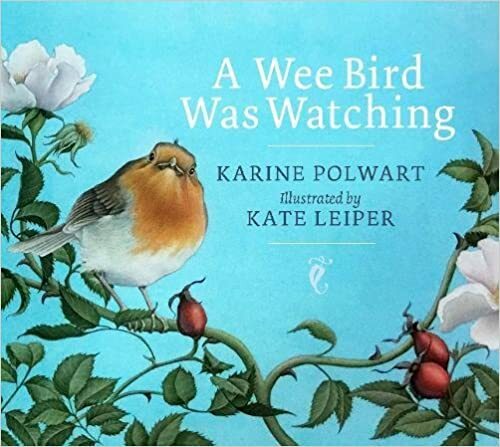 This exquisite retelling of a folk tale of how the robin got its red breast is a collaboration between acclaimed artist Kate Leiper and renowned singer/songwriter Karine Polwart. Kate’s work has featured in major collections of Scottish folk and fairy tales, including Illustrated Treasury of Scottish Folk and Fairy Tales and Book of the Howlat, whilst Karine’s latest album Wind Resistance was voted Best Music and Sound entry at Critics’ Awards for Theatre in Scotland 2017.